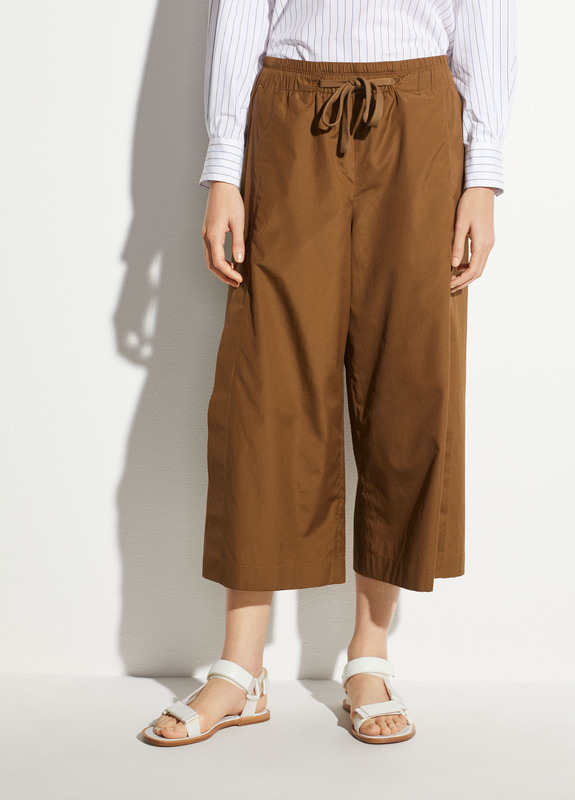 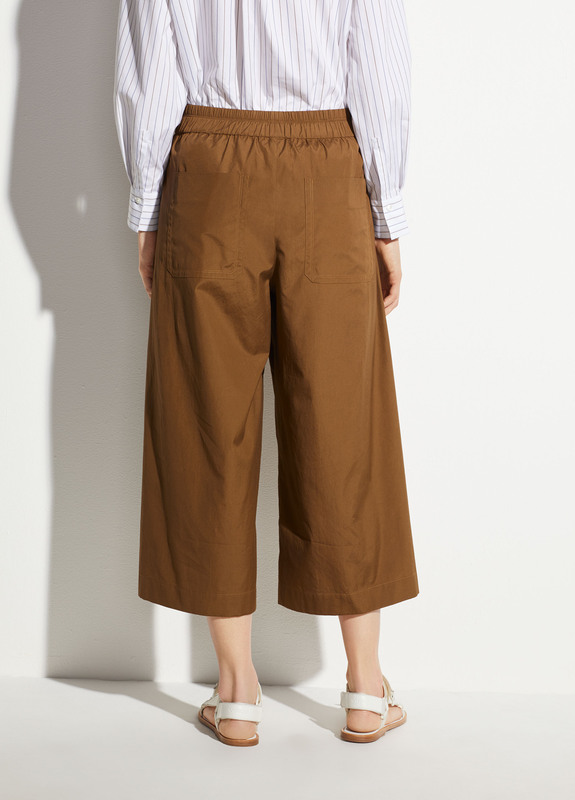 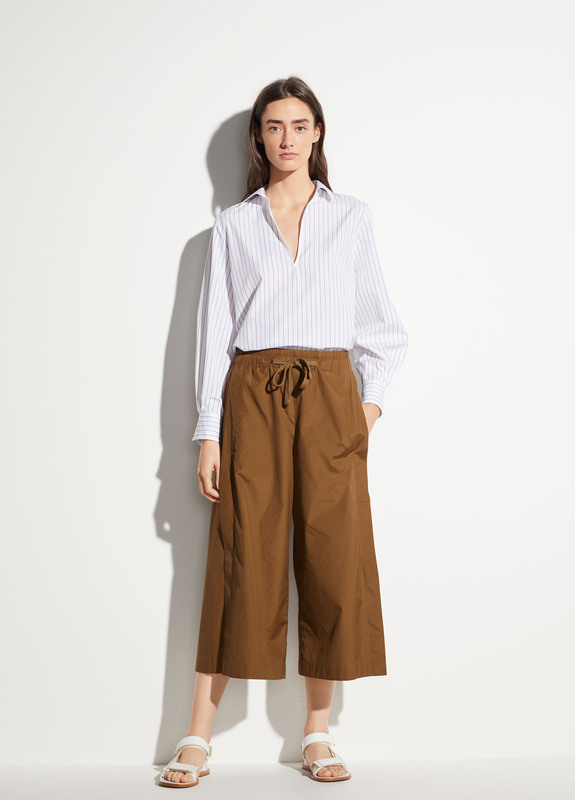 Lightweight and easy-to-wear, the culotte is made from crisp poplin. 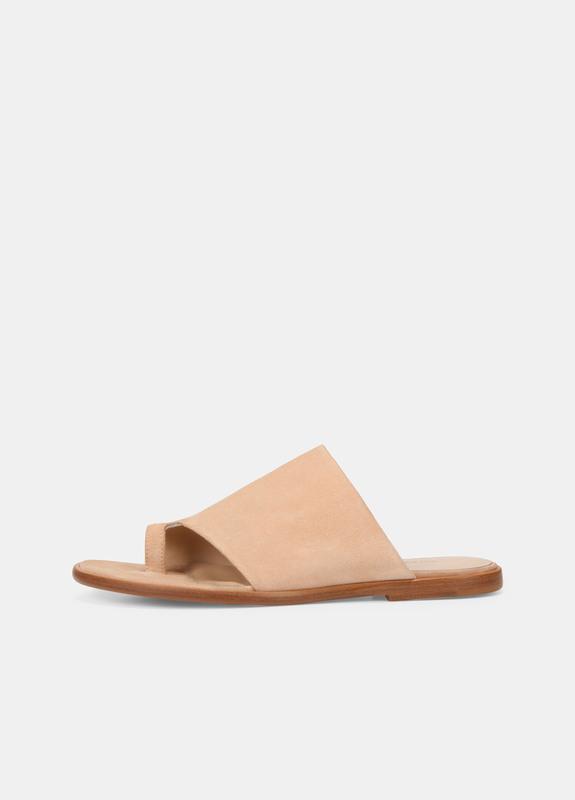 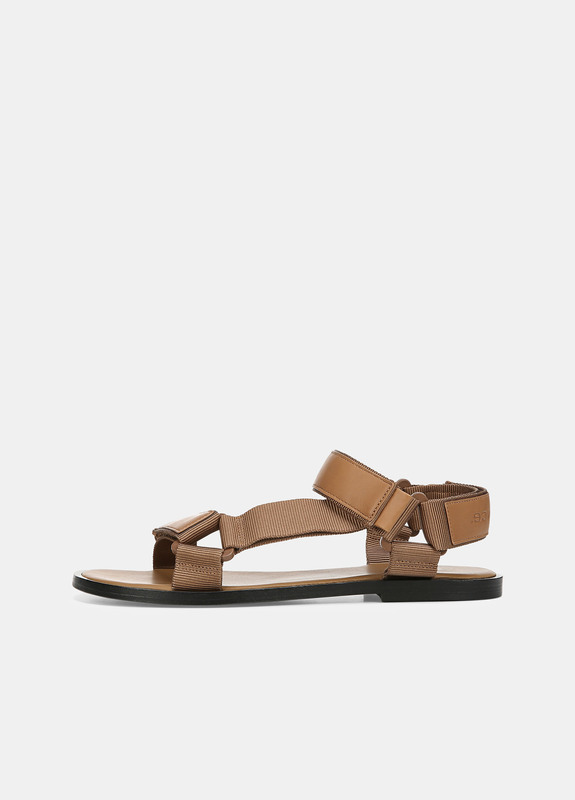 It has an elasticated waistband for a hint of sport, and falls right below the calf. 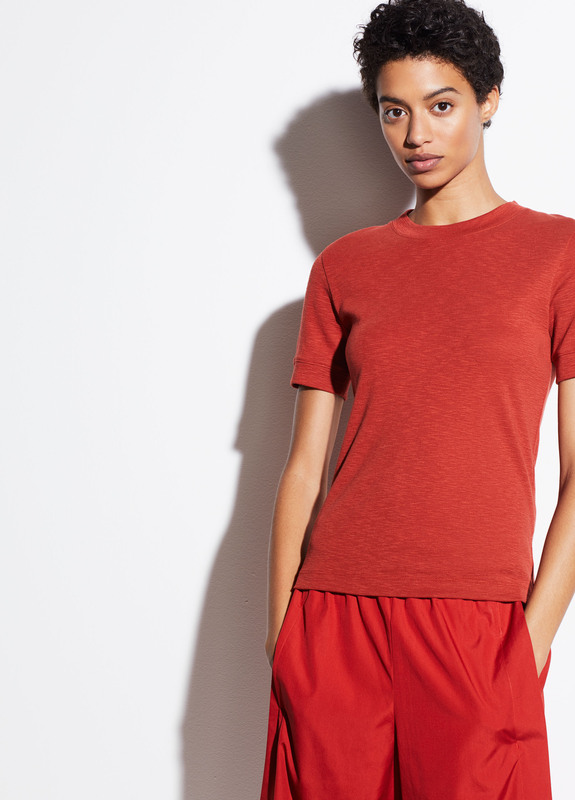 Two on-seam pockets, two back patch pockets.